Kauai Underground Guide -Travel Tips, Vacation Secrets! "Everything you need to know about your Kauai's beaches, activities, restaurants, tours, accommodations, and more!" "Thorough, up to date. A mature, trusted sidekick for the visitor who wants to get to know the island well." 250,000 books sold! 240 pages of valuable tips with maps, charts, must-do lists. BRAND NEW! 19th edition just off the press! both in print and ebook ! 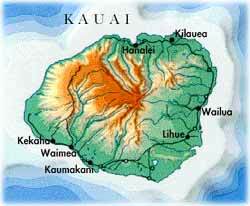 Completely revised and updated vacation information & travel planning for your trip to Kauai, Hawaii. Find the best beaches, restaurants, tours, adventures, activities, hidden beauty spots. Free CD of beautiful Hawaiian Music by Keali`i Reichel, Hawaii's number one music star -- title songs from his hit albums--will also be packed inside! Share Kauais best kept vacation secrets discovered over more than 25 years of exploring! Save time and money - plan ahead! 240 pages packed with valuable vacation information about beaches, restaurants, tours, adventures, hidden beauty spots-- professional maps and handy charts. *snorkeling * hiking, *sailing *windsurfing *helicopter tours *boat tours *horseback riding *beaches *fishing *surfing *scuba *scuba lessons *kayaking *golf *ziplines *tubing *bodyboarding *photographing *camping *luaus *children's activities *boat tours *movie tours *weddings *entertainment *budget gems and much much more! Tips on finding the best *accommodations and *planning ideas before your trip to Kauai. Enjoy your Kauai vacation adventure, and please let us know what you discover on your Kauai vacation! We love hearing from folks all over the world who have enjoyed exploring Kauai with our Guide and who want to help update the next edition!